The aim is to make Russia comply with the Minsk ceasefire accord signed with Ukraine in February, EU spokeswoman Maja Kocijancic tweeted. 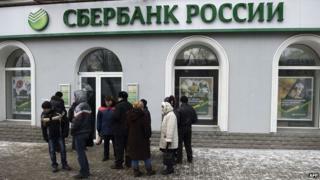 EU and US sanctions target associates of President Vladimir Putin and Russian state banks, military and energy firms. The ministers also launched a naval operation called EU Navfor Med, to track Mediterranean people smugglers. Initially European warships will just monitor the smugglers' activities - focused on Libya - and alert national authorities. Military intervention to stop the migrant boats would require UN authorisation. The EU foreign ministers extended the sanctions against Russia at a meeting in Luxembourg on Monday. A statement said the decision was taken without debate in response to "Russia's destabilising role in eastern Ukraine". Russia condemned the move, warning that it would respond reciprocally. "Russia naturally considers these sanctions groundless, unlawful. And we have never been the initiators of the sanction measures," President Putin's press secretary was quoted as saying by Russia's Echo Mosvky radio station. Meanwhile, US Defence Secretary Ash Carter, speaking during a visit to Berlin, Germany, said the sanctions were having an effect in countering Russia's "aggression" in Ukraine. But he added: "We do not seek a cold, let alone a hot war with Russia. "We do not seek to make Russia an enemy. But make no mistake: we will defend our allies, the rules-based international order, and the positive future it affords us. We will stand up to Russia's actions and their attempts to re-establish a Soviet-era sphere of influence." EU sanctions were imposed on Russia after Moscow's annexation of Crimea in March 2014. They have been escalated because of Russia's role in the conflict in eastern Ukraine. Nato says hundreds of Russian tanks and armoured vehicles have gone into eastern Ukraine, along with regular Russian army soldiers. Moscow denies direct involvement, but says some Russian volunteers are helping the separatist pro-Russian rebels. Under the sanctions regime Russian state banks are excluded from raising long-term loans; exports of dual-use equipment for military use in Russia are banned; and future EU-Russia arms deals are banned. There is an EU-US ban on exports of some oil industry technology and services, though gas remains unaffected. The sanctions also target many senior officials in Russia and in the separatist leadership, including Crimean leaders, and organisations linked to them. EU foreign affairs chief Federica Mogherini said the EU Navfor Med operation would initially involve "information-gathering and patrolling on the high seas to support the detection and monitoring of smuggling networks". But she said the ultimate aim remained intercepting the boats and breaking up the smugglers' network. "We've been working, both with our regional partners and the UN framework, to make sure that this can happen in the most reasonable time we can foresee." Plans for the operation were agreed last month, as unprecedented numbers of migrants arriving by boat have put huge pressure on Italy and Greece. The naval headquarters is in Rome under an Italian admiral. The EU has pledged to crack down on the smuggling gangs. Many migrants come from Eritrea and Syria - and the EU considers them to be refugees in need of assistance. But thousands more come from sub-Saharan Africa and Asian countries, many of them economic migrants escaping poverty.